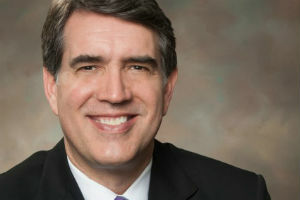 ORLANDO — Leaders of the Association for Healthcare Philanthropy (AHP) unveiled a multi-year, four-point strategic plan that is intended to build on its strengths as an education provider and expand its mission to be the authority and thought leader in healthcare philanthropy. Using the forum of its annual international conference, the roughly 800 attendees here heard the results of a year of interviewing members and developing a plan of action. AHP President and CEO Steven Churchill joined the organization shortly before last year’s conference. He said he spent his first year doing “a lot of listening” and has spent time on the road visiting members. Evolving education into multi-channel, including organizing education on campuses of large healthcare organizations. Flood, who is chief development officer and vice president of philanthropy at Intermountain Healthcare in Salt Lake City, called the planning “a year of reflection.” He said the goal has been for operating margins to be approximately 5 percent but the real number is approximately 2 percent. Philanthropy is becoming more of a “strategic financial lever” in a healthcare system’s budget, Flood said. The 50-year-old organization will be taking a “deeper dive,” researching and pushing out white papers to members on the top five issues identified each year, according to Churchill. “It’s not enough to be a convener,” he said, with the goal of being the definitive authority on healthcare philanthropy and the issues selected. The strategic plan also calls for training of C-Suite members, chief executives who now must take a larger role in fundraising, as well as physicians. Flood said that the so-called “grateful patient” fundraising does not bring in the largest gifts. As hospital systems acquire physician practices, the link between doctor and patient can become a referral to organizational fundraisers, Flood suggested. Community networking by fundraisers, senior managers and board members bring in the transformational gifts, he said. Churchill stressed that the organization’s educational mission remains but will evolve. For example, most of the conference sessions will be available on video. And instead of an organization sending one or two people to the annual conference for various trainings, it will be available to the larger systems on their sites as AHP taps into its network of experienced fundraisers to provide the education. Partnerships with other U.S.-based associations, as well as international groups, will help grow the organization and the expert network. Preliminary outreach has been done with organizations in Germany, Australia and Singapore. Churchill said that some of the organizations had previously been considered competitors but that they can be complementary. AHP, which revamped its board from 15 to seven members, is also planning to ramp up staff from its current 16 employees to handle the additional research and outreach.